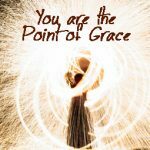 « Have You or Your Life Been Touched by Angel Energy? Angels have been talked about for centuries. In some ways, they are Universal and common throughout many religious beliefs. In other ways the information we can find about Angels differ, depending upon many factors. The variations of Angel and Archangels, their names, their specific energetic qualities and these variations are a result of time, culture and individual perception. If you depend on your logical mind, then you can search for extensive materials explaining Angels. The inforamtion can actually become overwhelming as to the amount and variation, when depending on logic, it would seem why so much variation? What if you could learn a different way? The Angels have been my guide, my assistance and my helpers, my teachers. 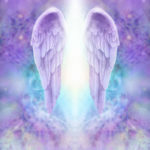 I was naturally curious and began to study and explore the idea of Angels by reading books to learn more about them and to understand how I could connect my energy to their energy, and bring Angel energy into my life. What I learned was that Angels are always near, waiting to be asked to help. They LOVE to help, that is their #1 mission. They are always ready to help, but the Law of Free will requires that they wait to be asked. Energy can’t be seen, yet it is all around us. We are energy. 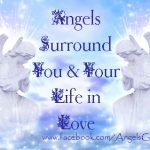 The Angels can help us in every aspect of our lives. You may have been raised with the idea that you have a Guardian Angel. 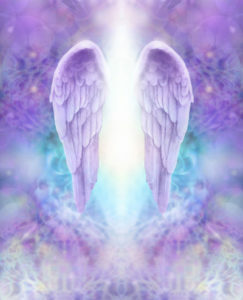 The Angel energy available to you and your life doesn’t stop there. Some sources indicate that there are 9 Choirs of Angels. Rather than getting caught up in possible facts, the Angels want you to know that they can be called upon for any assistance and help you need in your life. 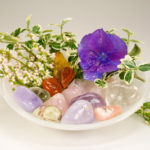 From creative ideas, to protecting your loved once, to healing your hurts, assisting with finance and abundance to helping you understand the trials and tribulations you face in your life, Angels are wonderfully loving teachers and helpers. If you are new to Angel energy and the idea that you might have access to this energy just by asking, the next time you are driving to a destination where you know you may be challenged to find parking, invite the Angel energy to go ahead of you and provide you with a parking space. This was one of the first ways I learned to work with Angel Energy. Angel Energy doesn’t “work”, rather it just is, and sometimes, some of the answers we receive may at first appear as “well this doesn’t work”, however, when you find yourself in the idea of something not working, ask your Angels for the hidden message and meaning. Because your mind had one idea of the possible outcomes, most likely the Angels have a better, more loving outcome in mind. Asking is the first part of receiving. You can ask for understanding, guidance and even ask for signs that they are always always, always working with you helping you on your journey to understanding who you truly are – a Divine Being on a Journey.